Doctor Rajkumar is working as Consutant Surgical Gastroenterologist, Minimal Access & Obesity Surgeon in Apollo Hospitals, Chennai. He has done his surgerical training from U.S.A. and U.K. Dr. Rajkumar have around 11 years of experience in the field of minimal access surgery. 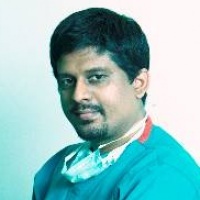 He is one of the leading Bariatric & SIngle Incision Laparoscopic Surgeon in India.